India Tools & Instruments Co. is one of the noteworthy Vernier Calipers Manufacturers, suppliers and exporters from Mumbai. These are designed to be used for the purpose of measuring the distance with precise accuracy. Our offered products have a user-friendly interface to ease the work of the user. Working on it is easy and can be done smoothly. These are built with high-quality raw materials and the best technology, which ensure their high tolerance in rough and tough conditions. As a promising player in the industry, we develop our products in compliance with Indian and International standards and affirm matchless quality. 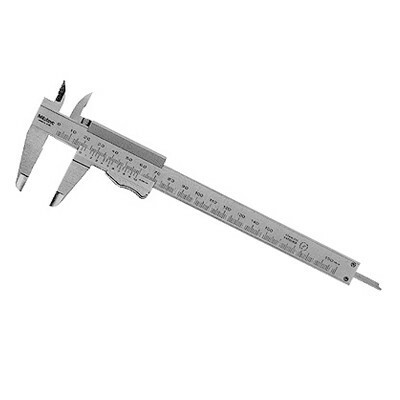 Moreover, we are enlisted as a reliable Vernier Calipers manufacturer, supplier and exporter from India. Our range is best and available at industry leading prices. We have a huge, happy and satisfied clientele in the regions of India, like Ahmedabad, Raipur, Bangalore, Dhanbad, Bhopal, Manali, Chennai, Kolkata, Delhi, Ranchi, Faridabad, Surat, Ghaziabad, Gujarat, Gwalior, Hyderabad, Indore, Jaipur, Kanpur, Madhya Pradesh, Lucknow, Ludhiana, Gujarat, Meerut, Mumbai, Nagpur, Patna, Pune, Punjab, Shimla, Bhopal, Kerala, etc. If you want to be the part of our clientele, feel free to get in touch. Our executives would be happy to help.